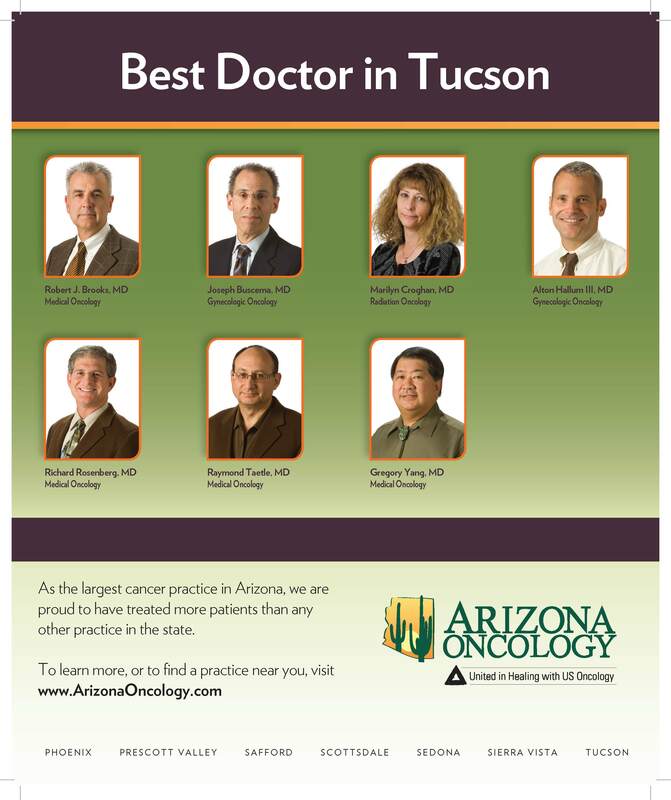 Arizona Oncology Doctors Named as "Best Doctors in America"
Home / About Us / Practice News / Arizona Oncology Doctors Named as "Best Doctors in America"
Tucson Lifestyle recently named 11 Arizona Oncology physicians to its Top Docs list, a Tucson focused excerpt from the Best Doctors in America list. The list is the result of a biennial peer review commissed by Best Doctors of more than 45,000 doctors. Founded in 1989 by physicians affiliated with the Harvard Medical School, Best Doctors provides expert medical consultation services globally to more than 20 million people, serving large employers, insurance plans, government, and other groups in more than 30 countries. 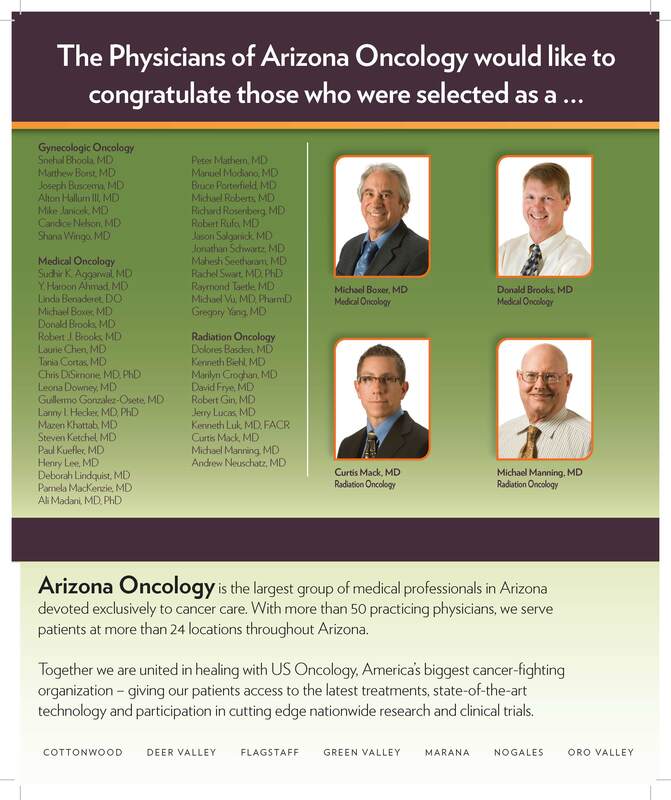 We send our sincere congratulations to the Arizona Oncology physicians named to the Top Doc List: Michael Boxer, MD, Medical Oncology; Donald Brooks, MD, Medical Oncology; Robert J. Brooks, MD, Medical Oncology; Joseph Buscema, MD, Gynecologic Oncology; Marilyn Croghan, MD, Radiation Oncology; Alton Hallum III, MD, Gynecologic Oncology; Curtis Mack, MD, Radiation Oncology; Michael Manning, MD, Radiation Oncology; Richard Rosenberg, MD, Medical Oncology; Raymond Taetle, MD, Medical Oncology; and Gregory Yang, MD, Medical Oncology.